The hospital is expected to create 23 new full-time equivalent jobs when the project is complete. Mineola, NY - July 29, 2014 - Nassau County Executive Edward P. Mangano and the Nassau County Local Economic Development Corp. (NCLEAC) today announced the agency’s approval of $40 million in tax-exempt bonds financing that will allow Winthrop University Hospital to complete construction and equip critical research laboratories as well as upgrade the computer systems at its facilities. The bonds, approved at a NCLEAC meeting today, will be used to finance new laboratory space in Winthrop University Hospital’s now-under-construction, 95,000-square-foot research building at 101 Mineola Blvd. in Mineola. In addition, funds from the bond sale will finance an upgrade of the hospital’s computer systems in Mineola and Bethpage. 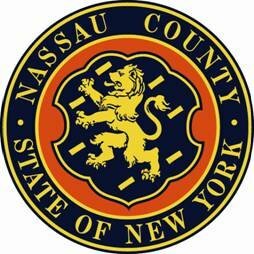 Nassau County is not responsible for payment of interest or principal on the bonds. The hospital is expected to create 23 new full-time equivalent jobs when the project is complete. In addition, the project is expected to generate 250 construction jobs. “These bonds will enable Winthrop to complete its state-of-the-art research labs, allow medical discoveries to be more quickly available to patients, support the hospital’s distinguished scientists and attract talented researchers, students and trainees from outside the region,” said Joseph Kearney, NCLEAC Executive Director. Winthrop, a 591-bed university affiliated medical center and regional trauma center, provided in-patient care for more than 33,000 people last year and logged more than 66,000 emergency room visits. The hospital has 6,000 employees. About the Nassau County Local Economic Development Corp.
NCLEAC, a local development corporation, was created by the Nassau County Legislature in 2010 to provide assistance for the not-for-profit sector previously supplied by the Nassau County Industrial Development Agency. New York State regulations that allowed IDAs to fund such projects expired in 2008. There is no out-of-pocket expense for NCLEAC. Subject: LongIsland.com - Your Name sent you Article details of "Mangano: Local Economic Assistance Corp. Helps Winthrop University Hospital Construct and Equip Critical Research Labs"